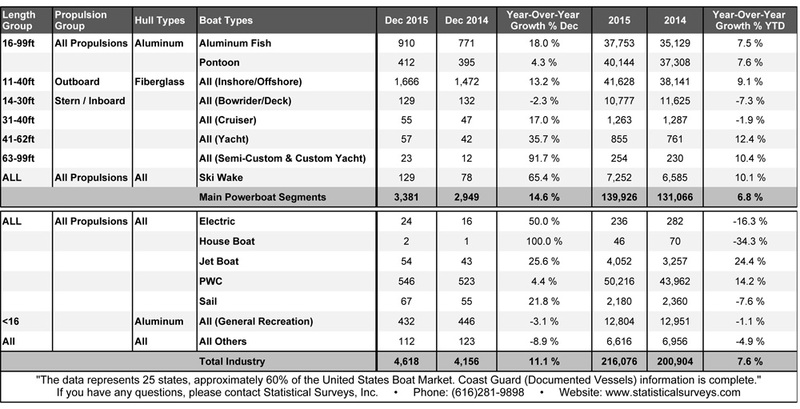 In addition to an impressive month of towboat sales in December of 2015, the WSIA succeeded in updating Statistical Survey’s category title from “Ski” to “Ski Wake.” These surveys represent 25 states, or 60 percent of the U.S. boat market. 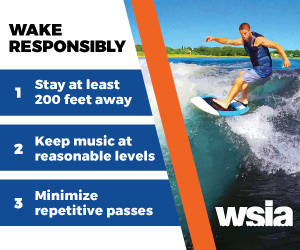 “Wake/Ski” was our desired title change, however Statistical Surveys needed to designate a category title that wouldn’t disrupt their historical data. As you can see in the report, the Ski Wake category is up 65 percent in Dec. 2015 compared to Dec. 2014, while the entire industry was up 7 percent. Congrats to all the manufacturers, marketing teams, sales reps and dealers who have been pushing hard during this boat show season.